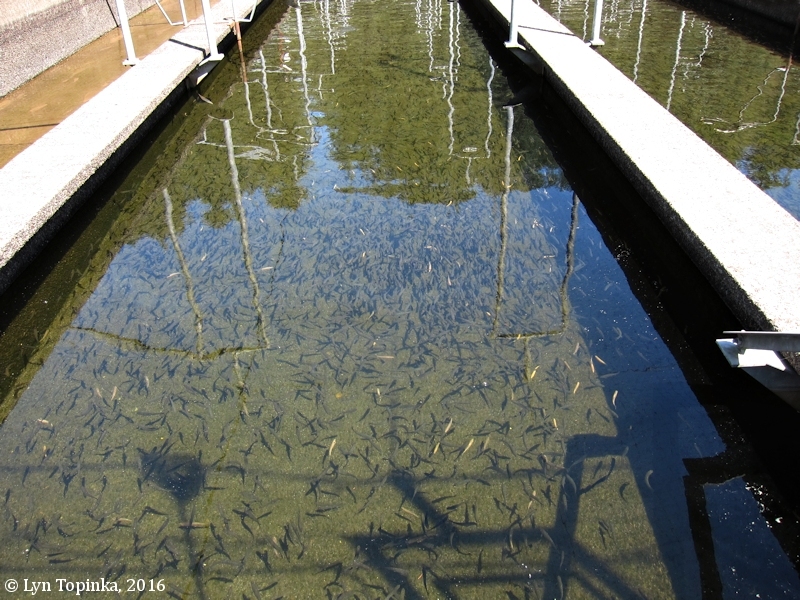 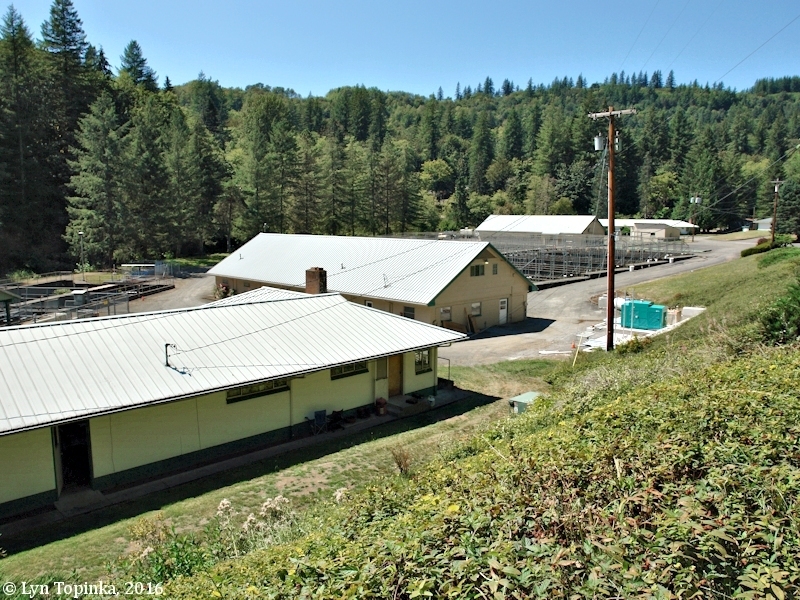 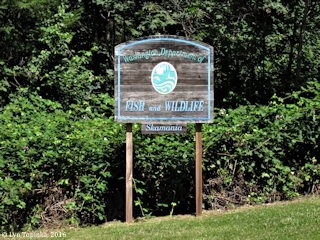 "Skamania Hatchery, West Fork Washougal River, Washington"
The Washington State Fish and Wildlife's Skamania Hatchery is located approximately one mile upstream of the mouth of the West Fork Washougal River. The hatchery was built in 1956. 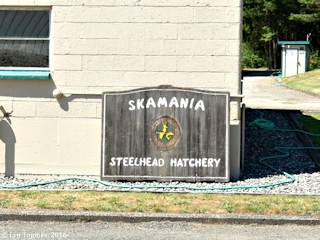 "The Skamania Hatchery was constructed in 1956 on the West Fork Washougal River in order to propagate summer-run steelhead (Oncorhynchus mykiss). 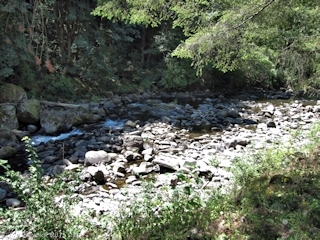 In 1959, due to low numbers of Washougal summer run steelhead returning, summer steelhead from the Klickitat River were transferred for spawning. 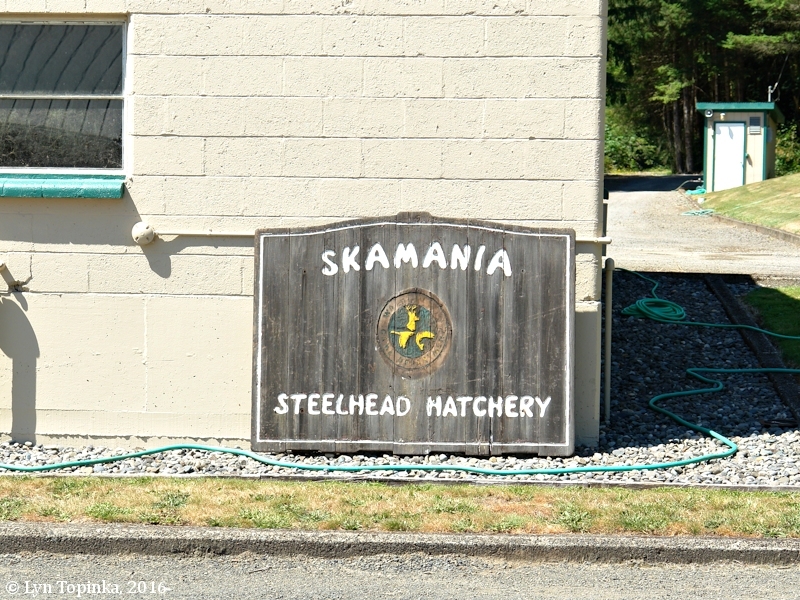 In 1963 the two stocks were mixed, resulting in what is now Skamania summer steelhead. The summer steelhead are used as parent stock for runs created at other hatcheries throughout the state. 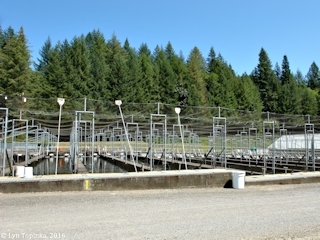 Since 1986, only hatchery-origin broodstock have been used for propagation, identified by a clipped adipose fin. 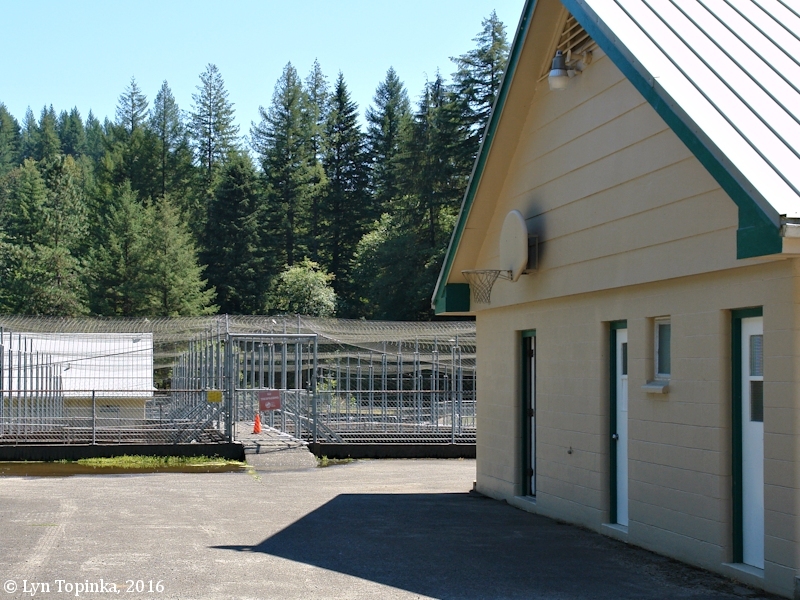 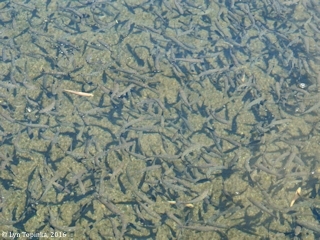 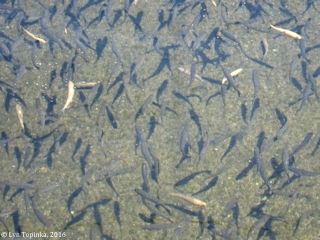 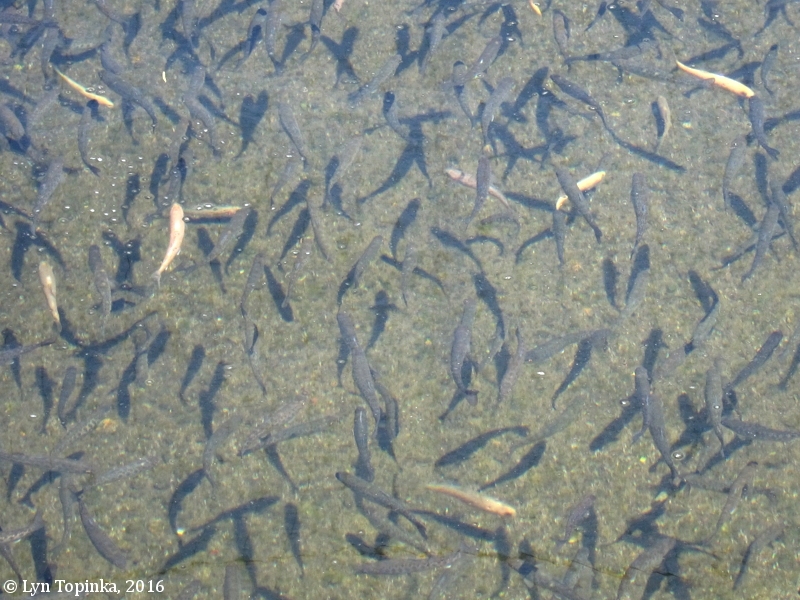 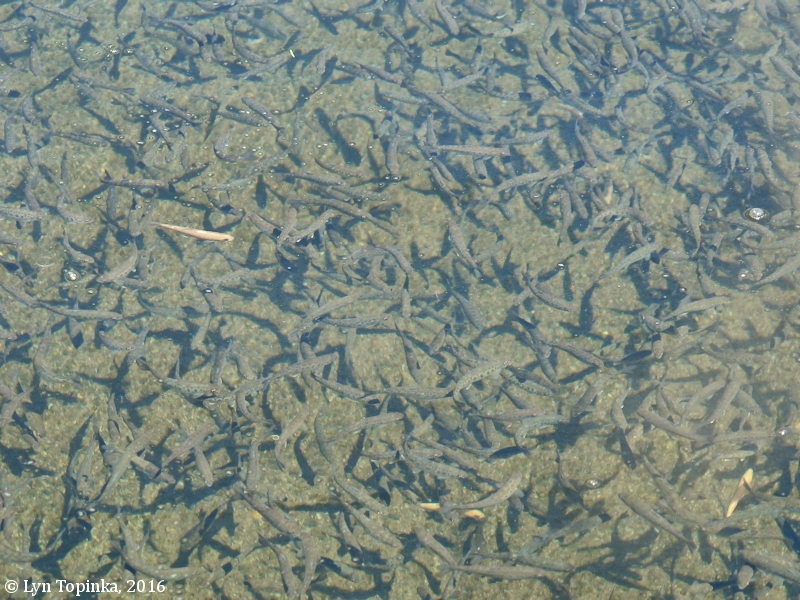 Natural-run fish are released back to the West Fork Washougal upstream of the fish ladder. 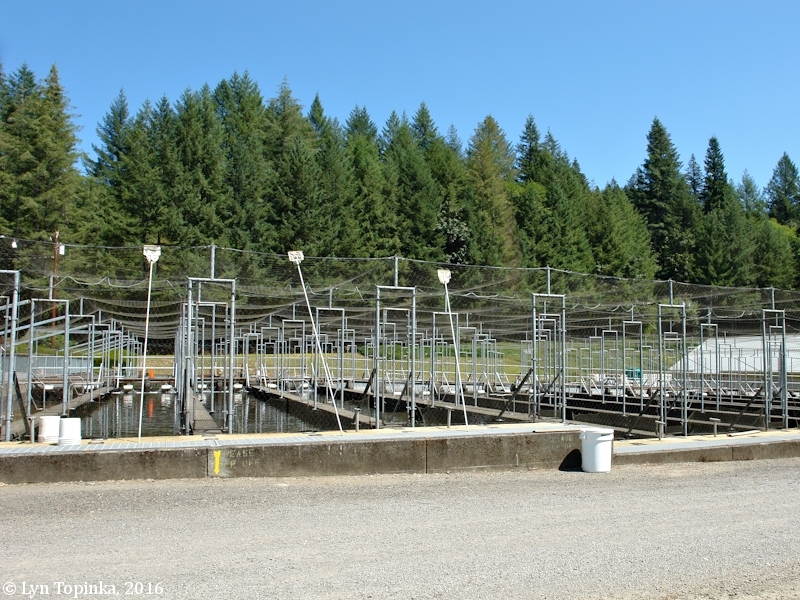 Approximately 60,000 Skamania-origin hatchery winter steelhead smolts and 60,000 hatchery summer steelhead smolts are released annually into the Washougal River." 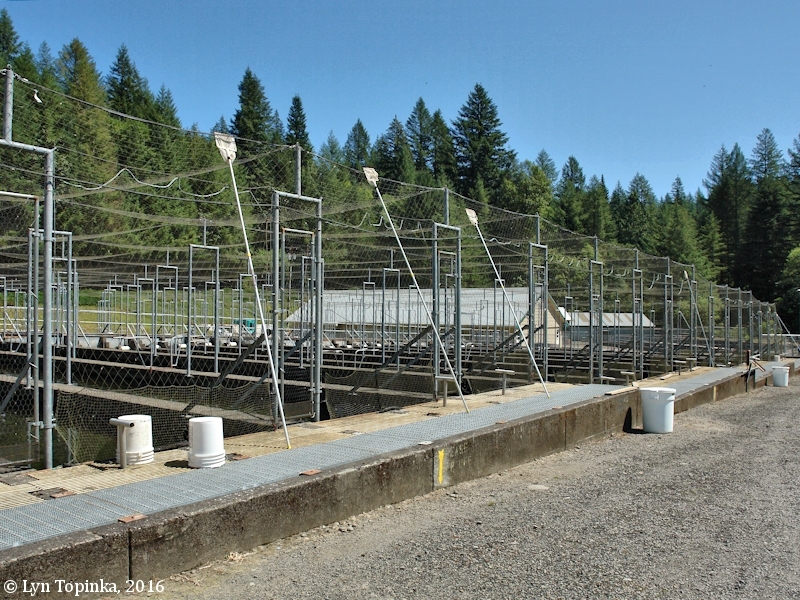 Source: North Fork Washougal Weir and Adult Handling Facility, Washington State Joint Aquatic Resources Permit Application, 2015. 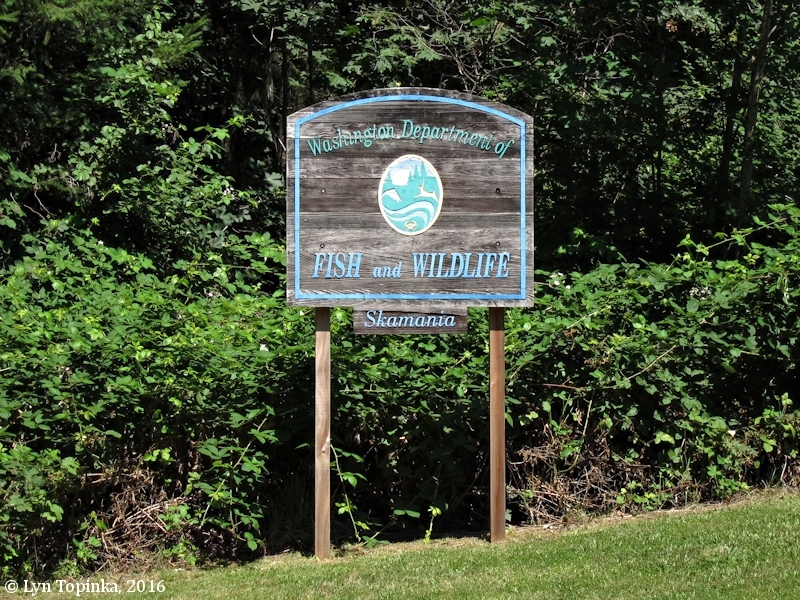 The Skamania Steelhead Hatchery is located on the West Fork Washougal River at approximately River Mile (RM) 1.0. 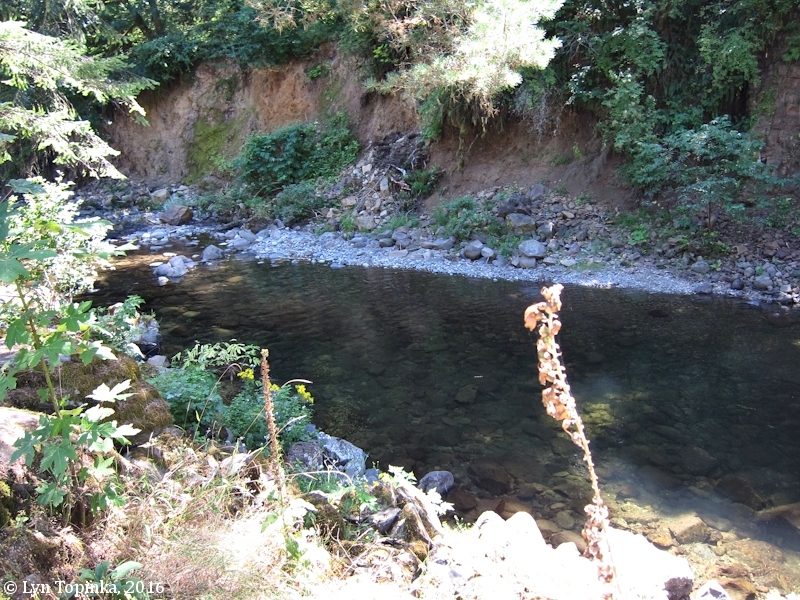 While this stream is often referred to as the "North Fork Washougal River", the U.S. Geological Survey's Geographic Names Information System (GNIS) lists this stream as "West Fork Washougal River". It merges into the mainstem Washougal River at RM 14.5, and the mainstem Washougal River enters the Columbia River at RM 121. 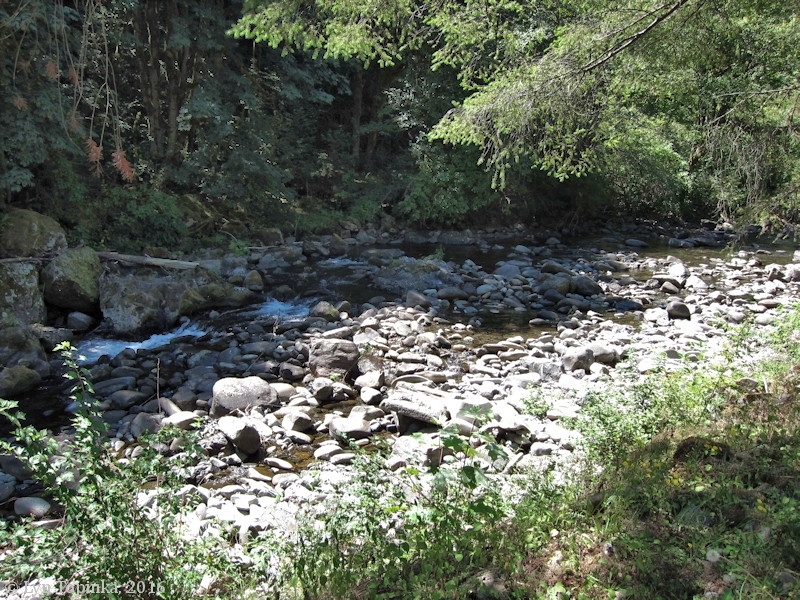 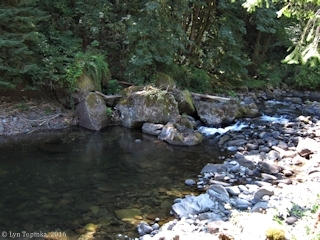 Click image to enlarge West Fork (North Fork) Washougal River at Skamania Hatchery. View from Skamania Hatchery. Image taken August 3, 2016.